ABC Overhead Garage Doors provide sales, service and installation of garage doors for residential, commercial, and special applications. Residential - Choose from a wide selection of models and styles offered by top brand names such as Garaga, Oxford Carriage, Clopay, Steel Craft, Upwardor, Wayne Dalton, C.H.I., and more. 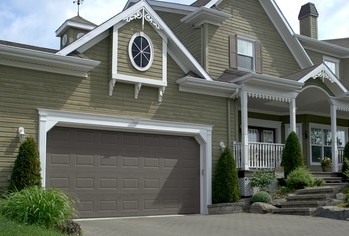 Ask a sales representative today to assist you in the purchase of either a new garage door or to help repair problems with your existing garage door. Commercial - We use industrial strength commercial doors from suppliers such as Garaga, Steel Craft, Overhead Door, Upwardor, and Wayne Dalton. This allows us to be leaders in the installation of commercial garage doors and gives us the knowledge to properly maintain existing garage doors. Ask a sales representative today to learn more about how a new commercial door can be beneficial for you and your company. Special Applications - We offer a variety of special applications ranging from counter shutters to storage unit doors. Any one of our knowledgeable sales representatives will be happy to help find the door that's right for you.